WAG Essential Oils Relaxation Blend for dogs is a collaboration with the beloved animal rescue organization, WAGS and WALKS. 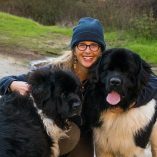 WAG helps dogs (and people) feel relaxed and more secure in their environment. WAG is made from organic and therapeutic-grade essential oils, including: Lavender, Tangerine, Spruce, Sandalwood, Patchouli and Blue Tansy. All bottles of WAG are hand-poured to insure the artisanal high quality. 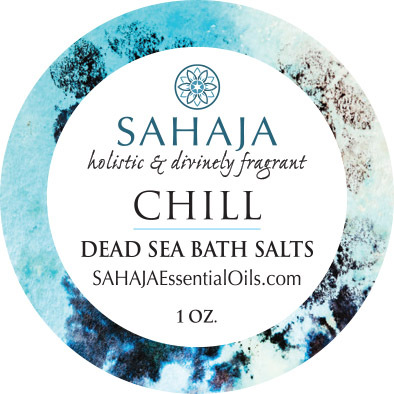 SAHAJA Essential Oils WAG Relaxing Blend for Dogs from Sahaja Douglass on Vimeo. WAG Essential Oils Relaxation Blend for dogs helps dogs (and people) feel relaxed and more secure in their environment. Wag can be applied directly to a dog’s topline, used with an ultrasonic diffuser, or added to a spray bottle filled with water and sprayed on a dog’s bedding or environment. WAG’s blend of calming, health-supporting organic and therapeutic-grade essential oils include: Lavender (calming, anti-bacterial, anti-inflammatory, anti-microbial, soothing for the skin), Tangerine (relaxing, antiseptic, anti-fungal), Spruce (anti-inflammatory, anti-viral, anti-bacterial, disinfectant, often used for respiratory ailments, arthritis, rheumatism), Sandalwood (relaxing, anti-anxiety, anti-inflammatory, skin soothing, disinfectant, memory enhancing), Patchouli (insect repellant, antidepressant, mood-elevating, helps with feelings of sadness and loss soothes inflammation, protects wounds from becoming infected) and Blue Tansy (anti-microbial, calming, muscle-relief, anti-anxiety, anti-inflammatory). All bottles of WAG are hand-poured to insure the artisanal high quality. 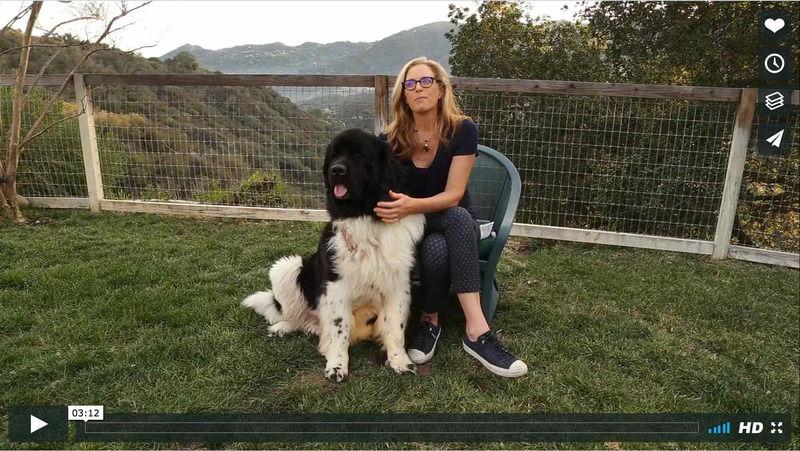 20% of the profits from sales of WAG are donated to Topanga Animal Rescue, a non-profit organization providing immediate medical assistance and transportation for wounded and abandoned animals. 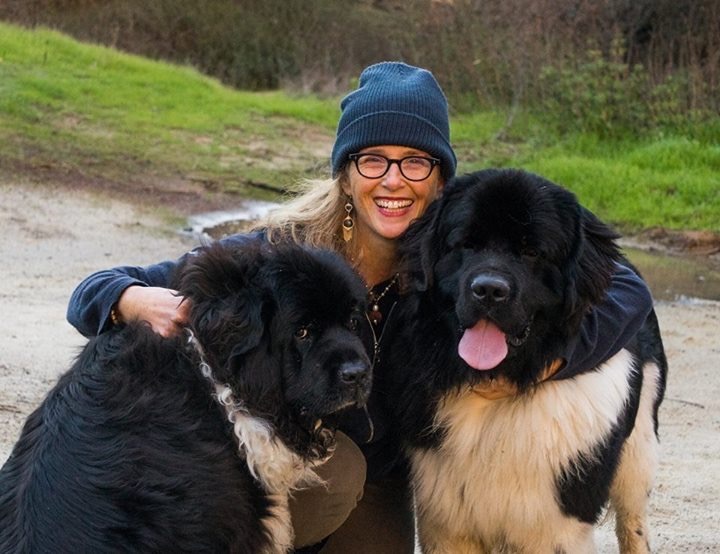 Topanga Animal Rescue also educates children and adults about protocols for animal emergency and disaster preparedness, and they offer free medical care for the animals of homeless and elderly men and women. 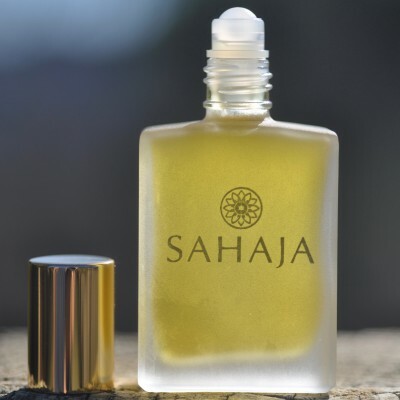 Each 15 ml bottle of WAG Essential Oil Relaxation Blend for Dogs is a balanced blend of the highest quality essential oils formulated to be divinely fragrant and support wellness. All bottles have a roll-on delivery system designed to prevent spillage and allow you to control how much you apply. And if your beloved canine wags her tail in sheer joy and knocks over your bottle of WAG, the precious blend is protected and won’t spill. Directions For Use: Roll a small amount of WAG onto the palm of your hand, rub your hands together to disperse the oil over your palm and then stroke your dog’s top line beginning at the nape of the neck and going along the back until you reach the base of the tail. You can then gently rub your dog’s chest which will make the experience relaxing and enjoyable for you both. 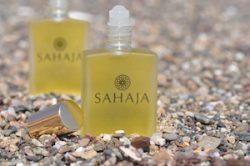 Due to the economical and spill-proof roll-on application system, your SAHAJA Essential Oils fragrances will last a long time. Avoid getting WAG on your dog’s face as this may be irritating. If your dog is small, you can dilute the drop of WAG by adding a small amount (1/2-1 teaspoon) of an organic carrier oil such as jojoba, coconut–even olive). Application instructions remain the same. You can rub any extra oil on your own wrists or the back of your neck. WAG is made from the safest and most gentle essential oils, but in the rare case that you or your dog has a reaction, you can dilute the effects of WAG by adding a cold-pressed oil to the area. Water does not dilute an oil; it may intensify the effects. 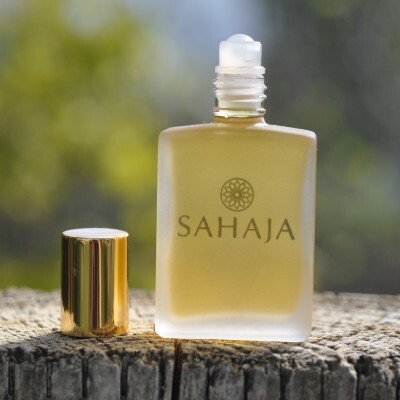 Directions for Using WAG In An Essential Oil Diffuser: Lift off WAG’s roll-on top, insert the orifice reducer that comes with every SAHAJA Essential Oil Blend and push down on the orifice reducer until it fits snugly into the bottle. Add 3-5 drops of WAG to your diffuser. Directions for Using WAG in a Spray Bottle: Add 10-15 drops of WAG to a 4 oz. glass spray bottle filled with water. Spray on your dog’s bedding and in the environment. Avoid spraying in your dog’s face and eyes as this may startle your dog and cause irritation.